This post is all about how some games are giving old selling tricks a new twist! Being a game UX designer, playing, analysing & deconstructing games is a big part of my day to day affair. I am genuinely intrigued by new trends and application of cutting edge marketing and consumer psychology principles that modern F2P games are employing for augmenting retention, engagement & monetisation. Selling Boosters : A look at how it usually done? Standard practise in most games today is to gradually unlock new boosters and consumables, offer a free SAMPLE for players to try out and then start pushing for purchase. Try before you buy, by providing free SAMPLE is conventional. Question is, can this be improvised? In Diamond Digger Saga, King is taking it much further. This is quiet conventional ? So how is it better? If players are not buying the boosters when they run out of free samples (post tutorial), they need to be reminded of power and ability of boosters by whetting their appetite once again! 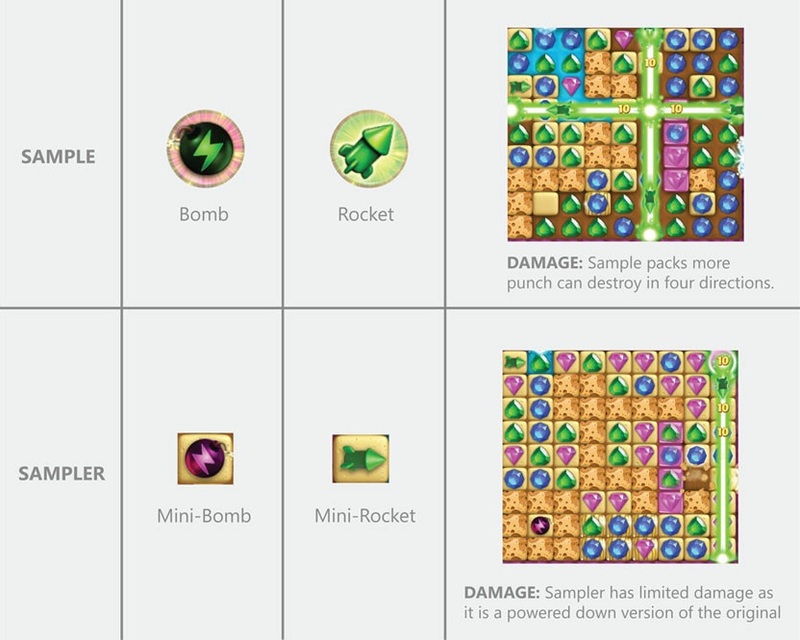 SAMPLER : Mini-Rocket/bomb Available for FREE as sampler’s in certain LEVELS. Deals damage along only 2 axis. What's happening?... Let's visualise it better. SAMPLER : Is a classic restaurant promotion 101 tactic, where in small portion of a meal is given away as free to whet customers appetite, and prime them for purchase. Restaurants & stores around the world lure you with bite size version of their food. Diamond Digger after giving away free SAMPLES (Boosters which player consumes quickly) in tutorials, wants to keep reminding the players what these boosters can achieve, it does so by giving them taste of these bite size SAMPLERS (Mini-Boosters). Pet Rescue, initially follows same design as other match 3 games where in you can unlock the boosters as you progress, you get few to SAMPLE, and once you run out of those prompts you to buy them. Pet rescue has many boosters, but there are few which appear commonly in many levels like the BOMB (it’s not available for purchase in the game) and ROCKET. In the early levels if I fail, I would see the typical "Out of moves" buy +5 moves screen. As you progress deeper in to the game, failure screen prompts changes to accommodate new kind of boosters ones that cannot be equipped up front, but are only available at failure screen. Instead of buy "+5 moves", above is what I get lately. You may ask, what's the big deal? They just replaced "+5 moves" offer at failure screen with a bunch of random boosters? Again what's happening?... Let's visualise it better. It's the same sampler approach as Diamond Digger! but instead of buffing down the booster power, it has been buffed up. I call this Booster Scaling Effect. Between DIAMOND DIGGER and PET RESCUE SAGA King is scaling the perceived value of it’s boosters at both the ends, placing default samples in player’s path for consumption, designing specific levels that endorse power and abilities of their boosters in scaled sample sizes (up or down) priming them for purchase. Studies also suggest a lot of Match 3 players consider buying boosters cheating, sampler approach via pre-integrating bite sized boosters might make their use feel more natural. Instead of scaling/buffing existing boosters values, king could have simply used new boosters, dynamite stick for mini-bomb or a TNT barrel for a mega-bomb, but that would have broken the priming association. Reason the above approach is unique is because, it is different from just giving free consumable samples from time to time, which most games do as part of "Try before you Buy" approach. 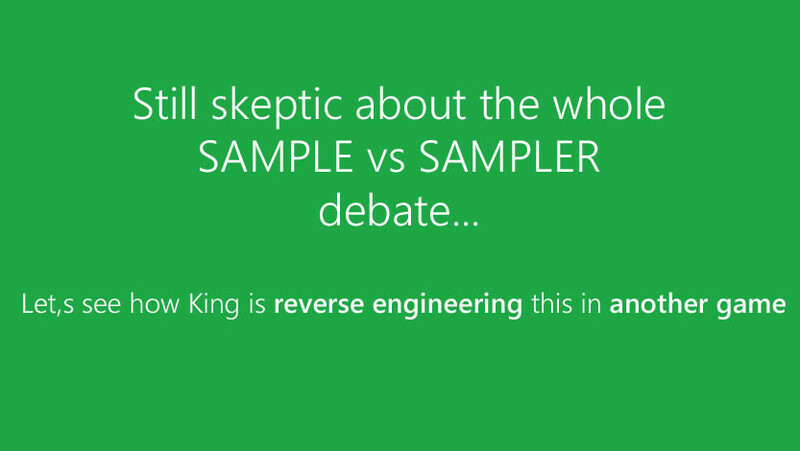 King is consciously tweaking level design to integrate bite size samplers and place them in players path for consumption at a frequency, much higher then giving free samples. 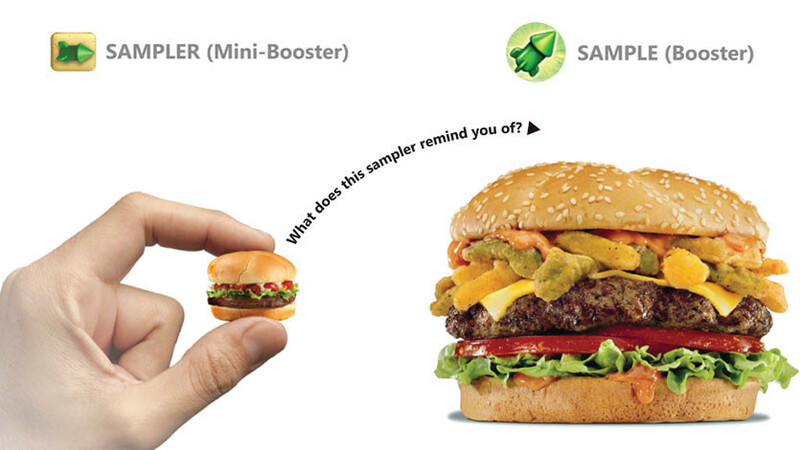 Unlike free SAMPLES these SAMPLERS have a very strongly noticeable scaling effect in terms of buffs and visual design, which resonates with real world mental model of restaurant promotion via giving bite sized samplers. Is it hugely effective? difficult to comment without data, but it surely is different from what most developers out their are doing, and King seems to be running with it for now. My question is, can this sampler/scaling effect be applied outside the realm of casual or match 3 games? My answer would be Hell Yeah!...What do you think ? Never miss out on a new article!